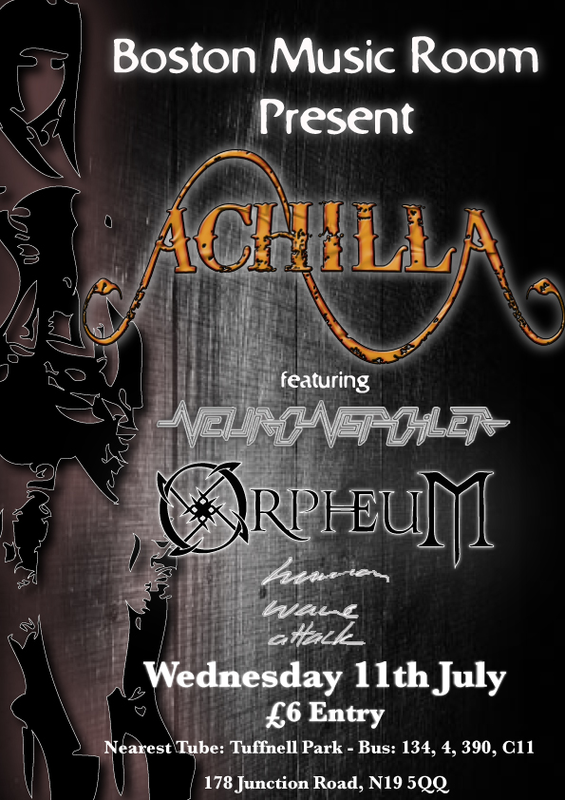 We are very pleased to be supporting Achilla at the Boston Music Room in London on 11th July 2012! It’s set to be a big show on the build up to their album launch this September, so we hope to see you along for a great night when Orpheum shall be joined by the heavy metal of Neuronspoiler and Human Wave Attack. After a great evening at The Peel last night supporting Achilla and November-7, we made some new friends and were offered another booking as soon as our set had finished! If you haven’t already, check out Achilla (achillamusic.com) and November-7 (november-7.com), both incredible bands. 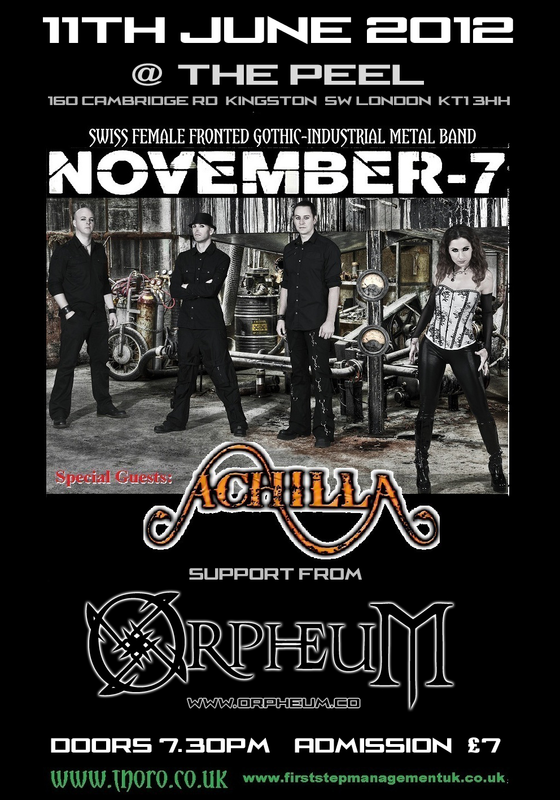 Tonight, tonight.. Orpheum shall be supporting the fantastic female fronted gothic metal November-7 and Achilla at The Peel Kingston! We are looking forward to unleashing some new songs while we’re at it! Hope to see you there!